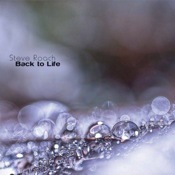 Available alone or as part of a limited-edition “2012 Boxed Set,” Steve Roach’s latest releases, Groove Immersion and Back to Life represent two distinct sides of Roach’s continued development of his signature sounds. Groove Immersion takes its cue from the rhythmic elements Roach laced through Immersion:5 and expands on them with infinite-loop beats tapping out a hypnotic bit of code that goes straight to the brain. Roach places the beats over familiar, downward-spiraling curls of sound and analog-synth clicks and snarls, and the pairing creates a space of darkly meditative bliss. The beats persist for the first two of four sections, nearly a half-hour’s worth of clearing some mind-space, and then Roach drops them to let the listener course on the current of his shadowy musings for most of the third track. The beats pick up again for the closing section and deliver the listener back to the beginning in perfectly loop-worthy style. Groove Immersion has strong tribal overtones, the same shadowy shapes and lower-world atmospheres that run through spaces like Fever Dream and Nightbloom. What separates it is the potent and persistent medicine of the beat. This is a disc that just gets deeper the longer it loops. By contrast, the two-disc Back to Life finds Roach returning to broader expanses, the “symphonic ambient” of Mystic Chords and Sacred Spaces and Dynamic Stillness. Although Roach slides a little rhythm into the track “Tranquility Base” on the first disc, Back to Life largely keeps to the formula of long, airy, criss-crossing pads matched in places with deep, low-end engine-rumbles. Roach modulates the density and intensity nicely, really building it up toward the end of the title track, the last on disc one, until the sounds are bold and thick and at their enveloping, calming best. Disc two is a single long-form piece, “The Mist of Perception.” Roach gives this hour over to very quiet flows, again lacing it with that airiness that speaks of vastness. A beautiful, meditation-ready piece of work that stretches time as it moves through zones of light and light shadow. This easily stands with Roach’s best soft long-form works. 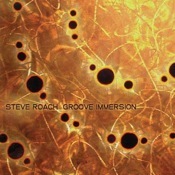 Both discs available at the Steve Roach web site.